Inspired by our increasingly popular layering dress, The Big Bow Dress is just as amazing but features a gorgeous bow on the bodice! Made with the softest pante roma knit fabric, which creates the smoothest wrinkle-free look! These dresses are perfect for days at the office or school. Feel great from the beginning of the day until you get home in this adorable dress. Pullover styling. I am so pleased with my purchase! This is my first Dainty Jewell’s dress and it won’t be my last! The craftsmanship is great, the material is really awesome and the fit is perfect. I am just so pleased thank you Dainty Jewell’s!! God bless you! Super cute dress! Totally exceeded my expectations! Love this dress!! The lightweight material and big bow make it the perfect dress. My current favorite from Dainty Jewell's! I love this dress!! 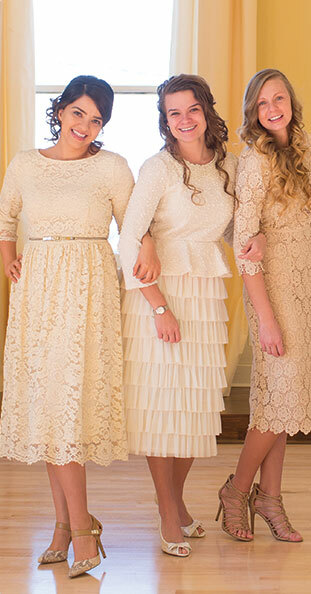 This is a dress that can be worn to church and also out on the town. The bow gives it a feminine touch that I love. Out of all my Dainty Jewells dresses this one is my favorite! I teach in an elementary school and I am always looking for something that is cute and comfortable. The bow and frilly sleeves give it that perfect feminine touch. I give this dress an A+.